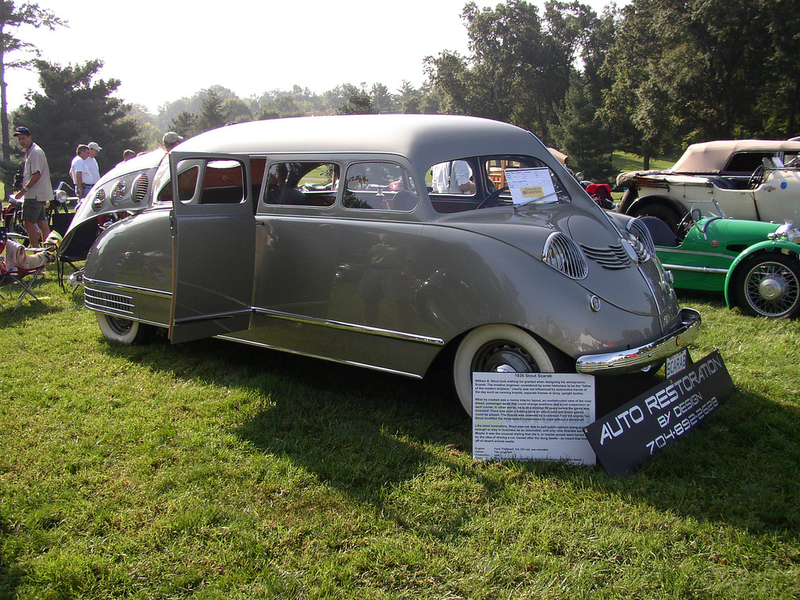 Developed by William B. Stout, a car and aviation engineer the Stout Scarab was envisioned to be an ‘office-on-wheels’. 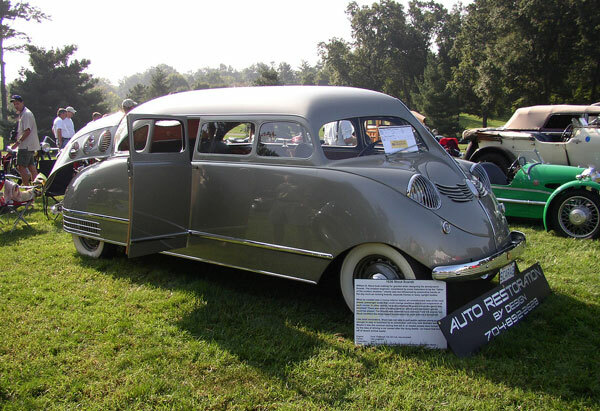 Designed without running boards and using a 135 inch wheelbase the car had the most spacious interior available to any American car at the time. Additional interior space was gained by placing the engine behind the rear axle and moving the driver so far forward that the steering wheel was almost directly above the front wheels. 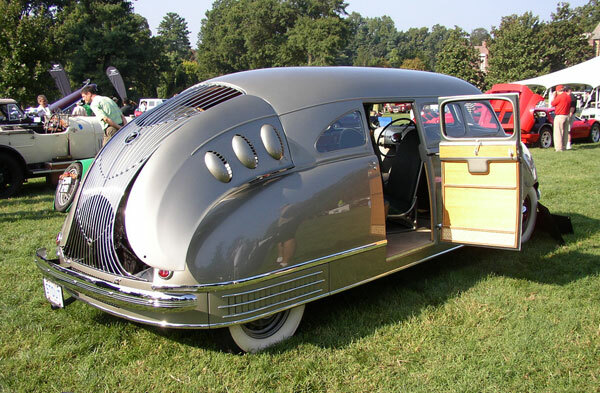 Egyptian scarabs were prominent throughout the car and the use of thin curved chrome gave the car an Art Deco look. 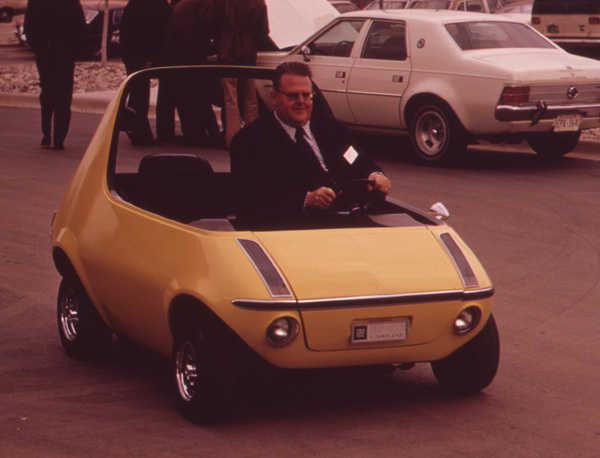 Although Stout was hoping to make 100 Scarabs a year only 10 models were ever produced. Each Scarab was hand built and unique as modifications were made with each build. The first prototype Scarab was completed in 1932, but after that only 9 more were made. The $5,000 price tag made it prohibitive for almost any prospective buyer. It is believed that five Scarabs survive today. “The newest development in wheelless, air-propelled vehicles” was how Ford Motor Company described its Levacar Mach I in 1959. The vehicle slid along on a thin film of compressed air, emitted through three “levapads” underneath the car. 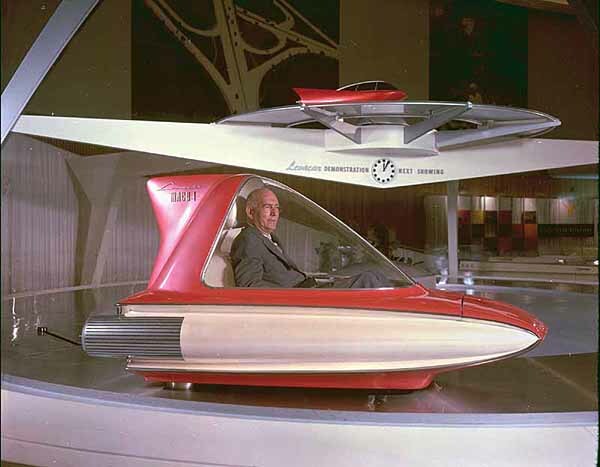 While Ford was hoping the levitation system would have applications in high speed public transportation, the real legacy may be the Mach I name for performance Mustangs and perhaps the inspiration for air hockey.